Exceptionally charming Kingfield home that has been tastefully updated and expanded to provide the amenities and spaces that today's buyers are looking for! Outstanding old-world character throughout including gorgeous oak natural woodwork, crown moldings & hardwood floors. Wonderful spacious kitchen has eating bar & informal dining area plus mudroom. Upper level has Master suite, two bedrooms & full bath. Recently fully remodeled lower level adding laundry, 4th bedroom & 3/4 bath. Directions: Lyndale Ave S to 40th Street W; East 1 block to Garfield; North to home. I was searching for a Property and found this listing (MLS #5139504). I would like to schedule a showing for 3940 Garfield Avenue Minneapolis, MN 55409. Thank you! I was searching for a Property and found this listing (MLS #5139504). Please send me more information regarding 3940 Garfield Avenue Minneapolis, MN 55409. Thank you! 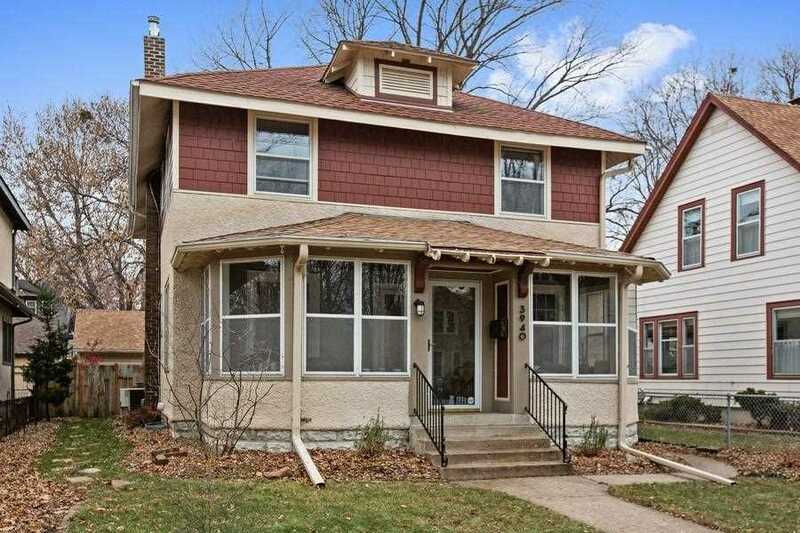 MLS® 5139504: This property at 3940 Garfield Avenue, Minneapolis, MN 55409 is located in the King Field subdivision and is listed for $585,000. MLS® 5139504 has been on the market for 94 days.